MacOS has a handful of good command line tools for working with discs, images and burning devices. Unfortunately direct support for disc cloning is missing. I wrote a little shell script that makes it very easy to create a 1:1 copy of CD/DVD discs. The script discoveres the name your DVD drive $DEVICE_NAME at runtime, e.g. disk1 for (/dev/disk1). This requires that the disc is present in the drive before you start the script. Btw I didn't know what was the correct usage of the words "disk" and "disc", this article from apple makes it clear. Update(07-03-24): I found a bug in my scripts that I fixed and I changed the scripts so that the DEVICE_NAME is discovered at run time. 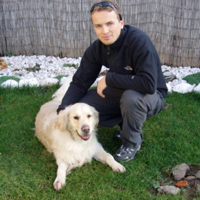 I'm a software developer, originally from Slovakia, who likes to mess around with web, Java and Ruby. End of the MacBook Problem Saga? MacOS X 10.4.9 Update Killed My Mac!